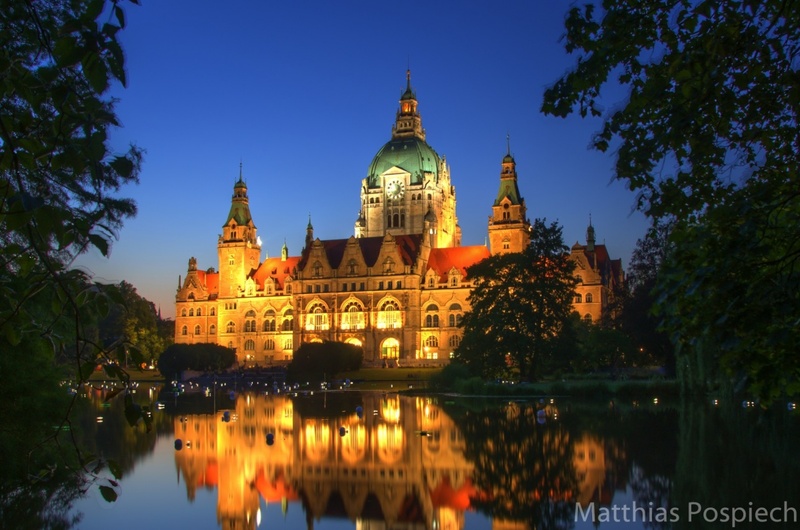 My first attempt with HDR image with the New Town Hall in Hanover at about 23:00. The exposure times, however, were so long (5, 10, 20 seconds) that the leaves are all washed out in the wind and cause ghosting in the resulting image. The second image shows a normal image for comparison.